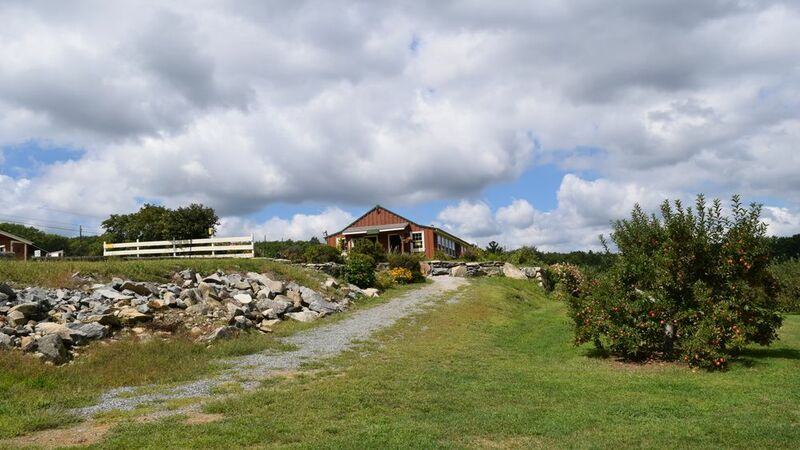 Farm stand available for 50 guests during late spring and early summer. Tractor wagons available for $100 per wagon. Available for 40 minute farm rides or for wedding party photos. Alternate view of tractor wagon. Alternate view of farm stand. 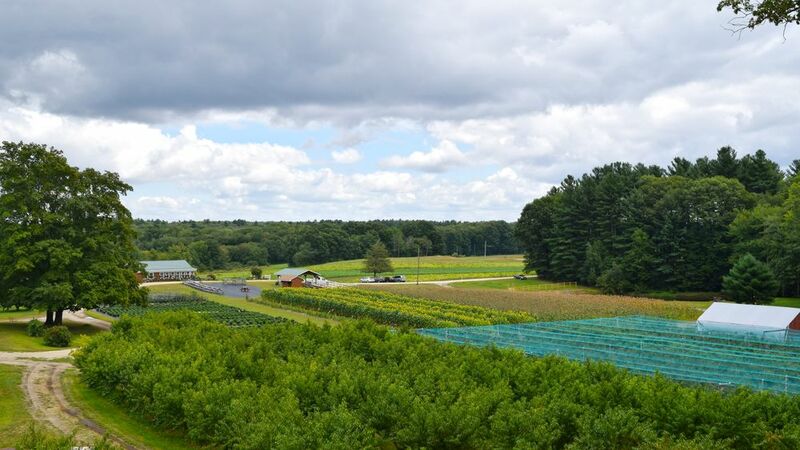 This farm and orchard has been family-owned and operated for seven generations. 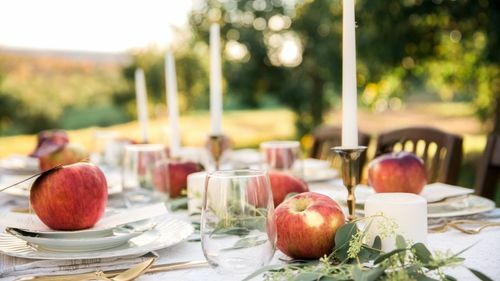 With vibrant vegetable gardens, flourishing apple and peach trees, an impressive pumpkin patch, and a wondrous corn maze, you'll have plenty of options for both ceremony and reception alike. 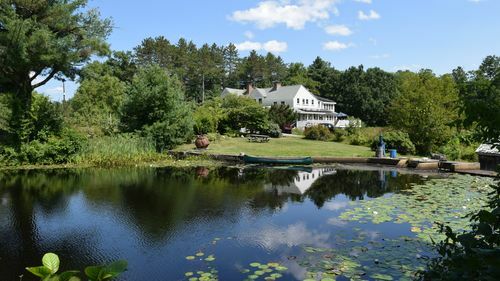 The charming farm-stand is adorned with colorful flowers, while two deep blue ponds surrounded by lush wooded lands are adjacent to the orchard and sunflower field. 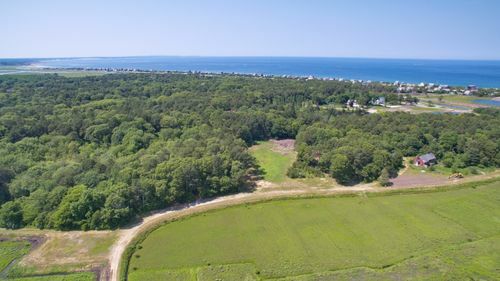 For a private moment, journey to the farm's summit where you’ll find unrivaled views of the entire orchard and natural landscape. 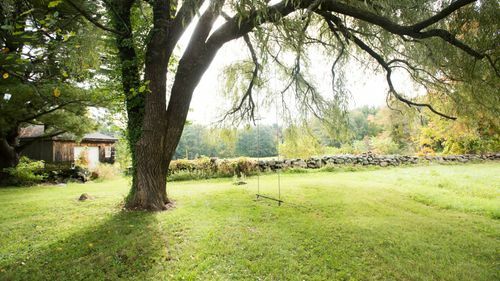 Thinking of a more intimate wedding? 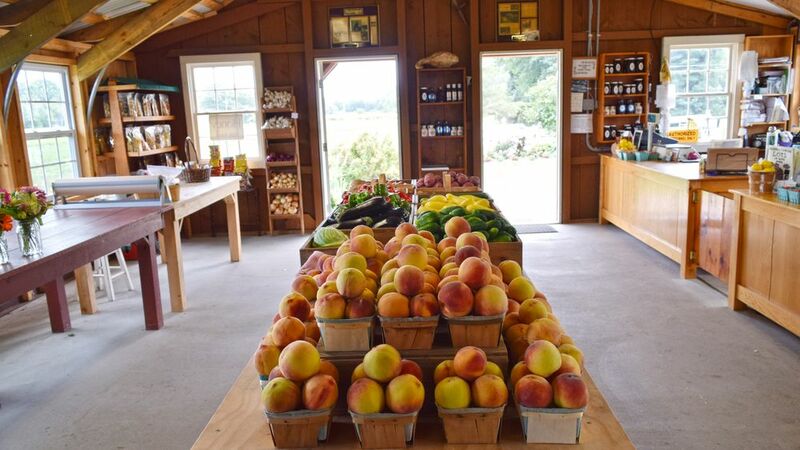 Ask about reserving the farm stand for an indoor space perfect for 50 guests available during the late spring and early summer. Tables - 12 picnic tables. Parking - Parking for 50 cars. Event Pavilion - Seasonal dependent. Tractor wagon rides available for guests or for wedding party during pictures up on the hill upon request. Wagons seat between and 30 and 40 guests and are $100 per wagon.